AdColony is a marketing platform focused on delivering performance and outcomes for brands, agencies, publishers and app developers, through high quality advertising to consumers on mobile devices around the world. The technology powers monetization for the most popular, top 1000 global publishers, and it enables marketers to engage with consumers on the most personal and important screens in their lives. AdColony delivers highly interactive and engaging advertising experiences across formats including banner display ads, interactive rich media ads, video ads and native advertising. 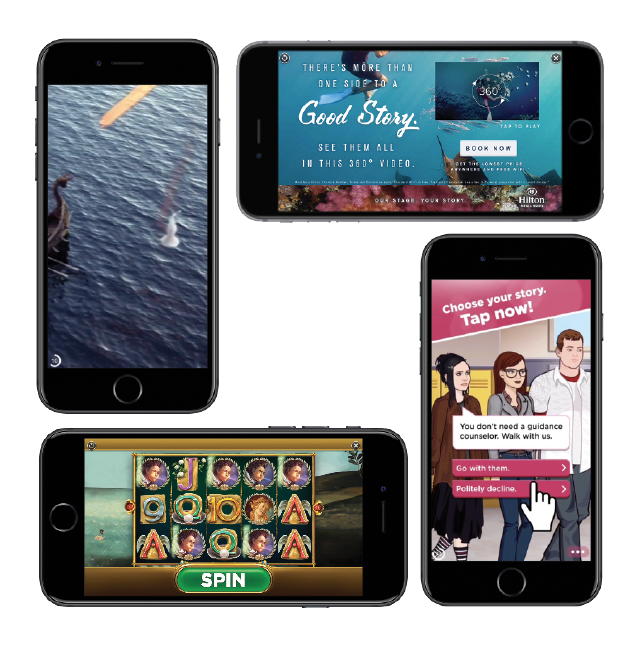 The company has proven to push creative boundaries and be first to market with innovations to lead the mobile ad economy. AdColony’s goal is to elevate the state of mobile advertising through innovative full screen ad units with a focus towards consumer experience, privacy and providing value to the mobile ecosystem. With long standing relationships with our 3rd party partners, who include the world’s largest brand and performance advertisers, ad agencies, publishers, data and attribution platforms and application developers, AdColony’s mission is be the highest quality mobile advertising platform in the world, delivering innovative brand experiences that evoke emotion and drive real outcomes fueled by data, technology and creativity. With a reach of more than 2 billion unique devices and market leading SDK footprint in the top 1 000 apps, AdColony is the strongest among all independent advertising platforms and provides a strategic advantage in the marketplace.